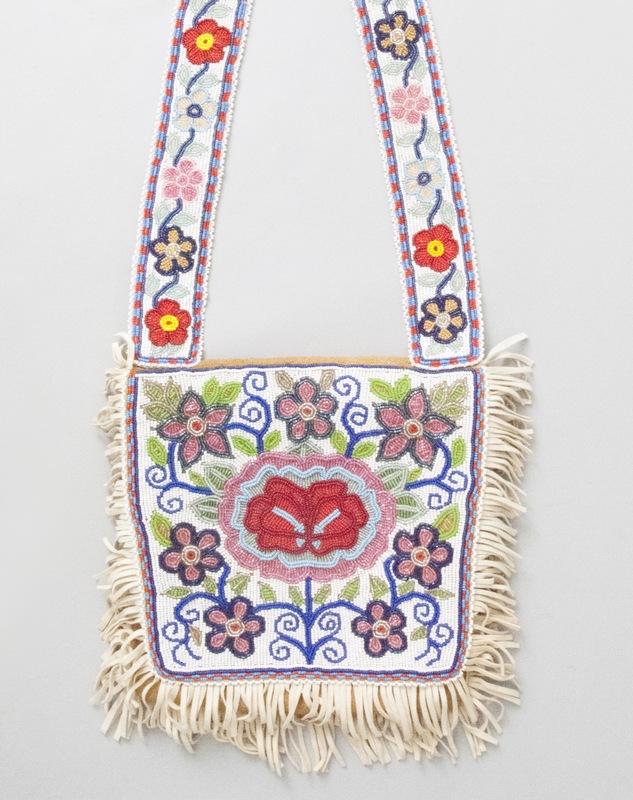 A long-handled prayer bag made of moose hide and beaded with floral designs. This bag was used to carry religious articles, such as books and bibles, to church. Collected by Reverend Leonard Holman, principal of All Saints Anglican Residential School.